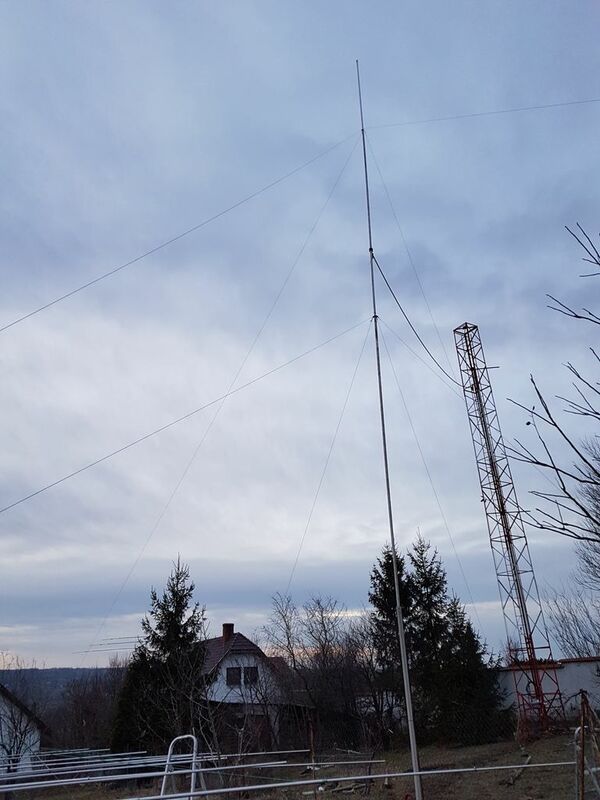 Due to the too close proximity I had to move the 160/80m vertical a bit further from the main tower. As I have only 16m wide property I can place it right on the plane of the fence separating us from the neighbor. 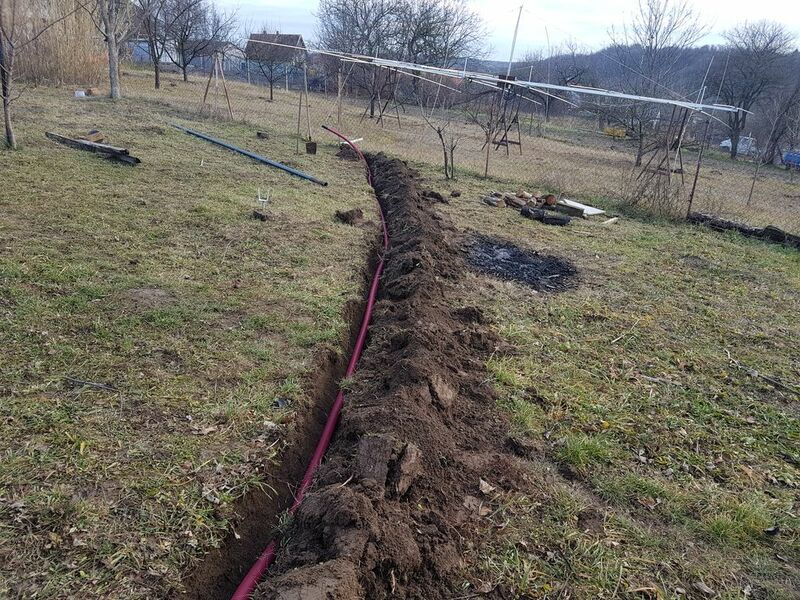 As I wanted to re-build the antenna permanently I decided to bury the cable into the ground with the hope I can gain a bit choking effect as well.